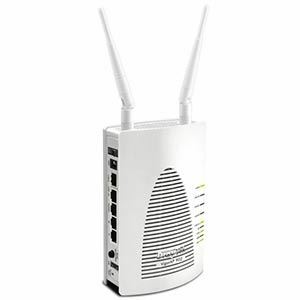 The VigorAP 902 is the business-grade Gigabit Wi-Fi Access Point. You can establish a stable and extendable wireless network. The dual band (2.4G/11ac) allows essential applications to operate in the less interference environment. The MIMO technology offers the advance wireless network standard for the coverage, backward compatible with 802.11b/g/n. The Power over Ethernet (PoE) by LAN A3 port eases the installation no matter where the power plug is. The robust management and simple configuration deliver reliable and secure wireless local area networks (WLANs). On the other hand, the Vigor AP902 with 5 Gigabit LAN ports enhances the data transmission for wired connected devices as well.